New York Fashion Week Spring/Summer 2019 is upon us and I'm thrilled to share these images with you! This process has been going on since May when the director of Wilhelmina Models Curve Division, Marissa Muscari asked me to meet with her about shooting the show package for their Curve Division. 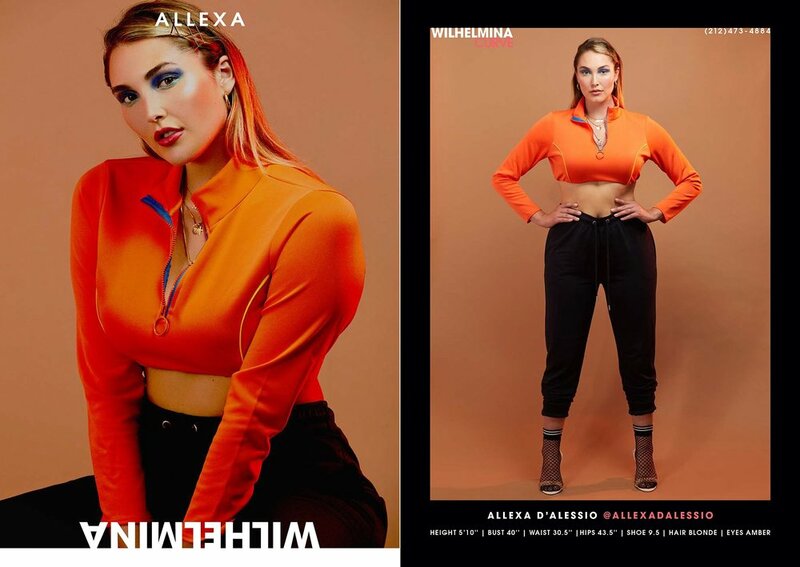 I've been doing a lot of shoots with Wilhelmina Curve this year and was honored and thrilled to be asked to do this shoot! What Marissa wanted was something different and she wanted to highlight my style of photography and colorful lighting within the package. We went back and forth sharing inspiration for styling, mood, makeup, etc. We photographed 22 models over the course of 3 days – WOW!! Here is the show package in all it's glory! Thank you to Marissa Muscari, Nanda Rai and Jaime Goldberg at Wilhelmina Models for having me for this shoot!